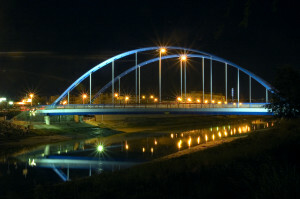 Chiclana is an agricultural town, with wonderful wines and medicinal waters in Fuente Amarga. The typical Andalusian narrow streets and patios adorned with flowers are present in this town. Chiclana still keeps the traditional customs and traditions of Andalucia, such as Pilgrimage trips, bullfighting, flamenco, wine making and tapas. 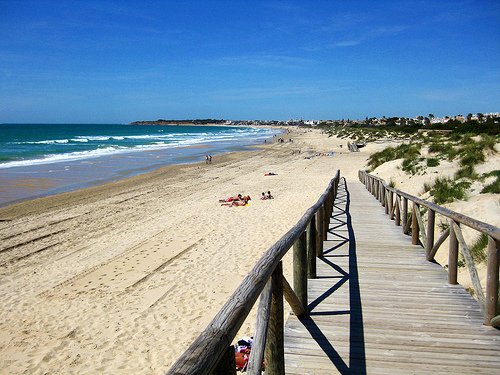 In the centre of Chiclana lies the Isla de Sancti Petri, which overlooks one of the most beautiful beaches in the Costa de la Luz, La Barrosa. Just inland from the coast Chiclana sits on a small hill overlooking the marismas (salt marshes). The town dates from 1303, when King Fernando IV of Castille gave the land to Guzman El Bueno, the defender of Tarifa, who was succeeded by the Duques de Medina Sidonia. It enjoyed great prosperity in the 17th century, Spain’s Golden Age of Discovery, when the Spanish Fleet was based in Cadiz. During the Napoleonic invasion of the 19th century, it was used as a military camp. Monuments in the town of Chiclana include the Ermita de Santa Ana, with its great cupula visible from afar. The park in which it is located is a little difficult to get to and is not well kept so the Ermita is only worth visiting for the view over the town, the Milenium Bridge and the surrounding countryside. In the centre of the town is the Church of San Juan Bautista, which also dates from the 18th century and was also designed by Torcuato Cayon; the convent and church of Jesus Nazareno (17th century); and the Capilla del Santo Cristo (15th century). The 18th-century clocktower in Plaza Mayor (known locally as El Arquillo del Reloj), next to San Juan Bautista church, is also a popular local landmark – traffic passes into the square through an arch in its base. Near the Plaza and Church of Jesus Nazareno there is an interesting cafe with street terrace called Pasterleria Antonia Butrón where a renowned pianist entertains guests in the afternoons by playing classical and easy listening music on a grand piano.